MC 238 is Star Five (50% Santa Gertrudis and 50% Red Angus) female. MC Ranch uses the SGBI Star Five program to showcase the value of Santa Gertrudis genetics to commercial breeders. Each point of the star represent an essential quality of beef cattle production: fertility, milking ability, gainability, confirmation and gentle disposition. Star Five females are some of the most sought after cattle in America. They have proven to be heat resistant and adapt extremely well to southern climates. 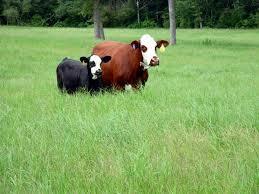 They are known for their excellent confirmation, carcass quality, fertility and mothering abilities. Star Five calves have high weaning and yearling weights, perform extremely well in the feed yards and obtain maximum results at the packing plants. The SGBI Star Five Program allows breeders to record animals which have at least one purebred Santa Gertrudis parent. 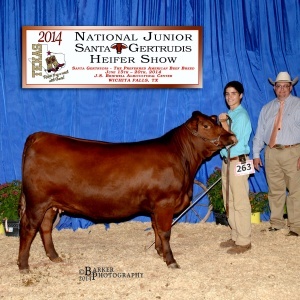 Breeders can “grade up” to purebred status by breeding a Star Five to a Santa Gertrudis sire or dam. The resulting offspring is a 75% Star Five. 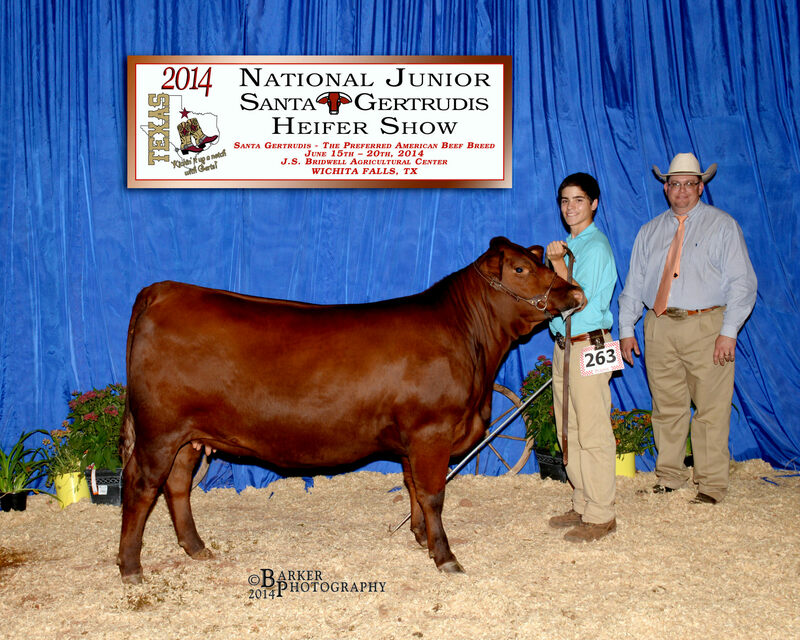 When a 75% Star Five is bred to a registered Santa Gertrudis the resulting offspring can be registered as a purebred Santa Gertrudis if meeting the Standard of Excellence. For more details about Star Five cattle contact MC Ranch or Santa Gertrudis Breeders International.